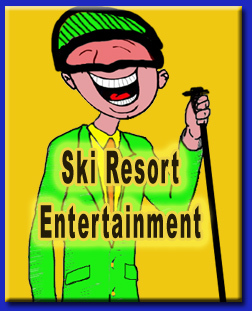 THEY improv provides improv comedy, game shows and murder mystery dinners for entertainment options for a variety of groups and gatherings at Colorado ski resorts. For companies, THEY have a variety of team building and training programs to enhance client and employee appreciation, holiday gatherings and meetings and incentives awards programs. And for the hospitality industry in the area, we have training programs to improve guest relations and improve your business. Working with Colorado ski resorts for their entertainment and hospitality training needs requires specialized knowledge and attention to detail. There are unique challenges when dealing with Colorado ski resort entertainment due to the changing nature of shows, not to mention with the snowfall. 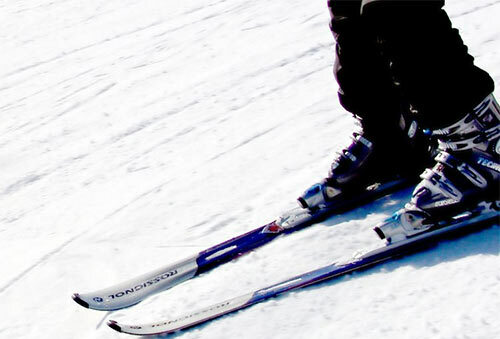 Colorado ski resorts compete with one another to attract guests. This is usually achieved with a high level of customer service as well as a variety of amenities. One of those amenities is entertainment. THEY improv can run a variety of entertainment options making them a cost-effective option. For instance, THEY can provide game shows, then an improv comedy show, then a murder mystery. That being said, it's important to remember that the size and make-up of your facility is vital for us to understand your needs. For example, a small bed and breakfast would have different needs than a 300 bed resort. Similarly, a facility with a banquet hall is different than a show in a living room setting. Likewise, equipment is important. We can provide our own sound equipment, but usually the Colorado ski resort has their own, or works with someone to provide that equipment. We are happy to work with others, but if their equipment fails, it may adversely impact the show. Colorado ski resorts will often have pleasant evenings as people sit around after a long day of skiing. For these evenings, THEY improv can provide entertaining characters that can mix and mingle with the normal skiers bringing them a whole new level to their entertainment on any given evening. Colorado ski resorts work year around. During the summers, they often also have conventions and other gatherings as well as groups coming to hike. Private parties often rent the space. This means that the full gamut of private parties are made available that can't interrupt normal operations. THEY improv is used to these issues and makes certain that a private party does not disrupt other guests enjoyment. 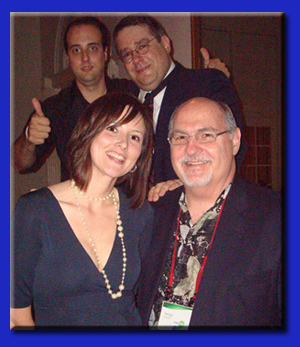 THEY improv leads the way for murder mystery shows for private parties, banquets, charity fundraising and corporate events. 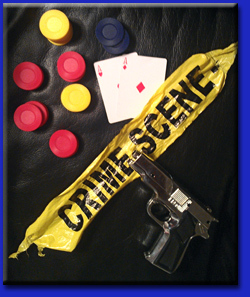 With a cast of detectives, quirky suspects and plots customized to each group at a venue of your choosing for a luncheon or dinner show, THEY improv will have your group trying to discover whodunit while laughing the night away. For medium sized groups, THEY improv has the Cambridge Solution allowing for a few of the staff or guests to play characters, with these stars competing to be the best actor. For smaller groups, THEY improv has a game show where the participants play all the characters in a mix and mingle party designed to get people to talk to each other and have a great time in a no-pressure environment. Meetings and incentives awards events for companies are often held at various Colorado ski resorts, even during the summer. It's a way to show appreciation for a job well done and to motivate employees to take their work to the next level. There are many options for entertaining such groups. Improvisational comedy is a great way to have an ensemble entertain your group. Catching the lightning in a bottle, you experience moments that can never be repeated because everything is made up in the moment. The audience shares the creative process and can be active participants in the fun. Game shows invite your group to participate more directly through actually coming up on stage and being put through TV Show-styled game shows to compete for not-very-expensive prizes (we wouldn't want anyone unhappy that they didn't win). 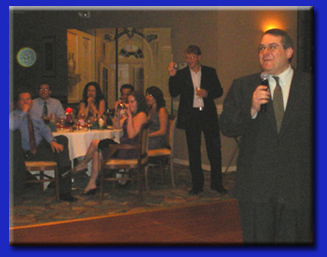 These shows work for corporate events as well as for private parties throughout the state. After all, a lot of people turn to Colorado ski resorts for their holiday parties. THEY improv has a variety of options that can make any venue more attractive to hold these gatherings. We are proud to serve the entire state including Vail, Aspen, Telluride, Snowmass, Breckenridge, Copper Mountain, Crested Butte, Steamboat, Beaver Creek and all the others as well as the rest of the state in Denver, C Springs, Boulder, Fort Collins, Aurora, Lakewood, Thornton, Golden, Arvada, Westminster, Pueblo, the Rocky Mountains and practically everywhere else in the Centennial State. Please contact us for information about booking THEY improv by email at info@THEYimprov.com or by calling (866) 219-4386.